Alternate Listening Tuesday this week features a rapper we saw when we featured the Woollim producers, Rphabet. San E last year made the move from JYP Entertainment to BrandNew Music, and has been flying high ever since. San E, the stage name of 29 year old Jung San, was a renowned underground rapper, dubbed a rap prodigy, and even winning awards before he signed with JYP in 2010. In his time with the company San E worked with 2PM’s Junsu and Jun.K; Miss A’s Joo; Sohee and Yenny of Wonder Girls; Outsider; and Changmin of 2AM. 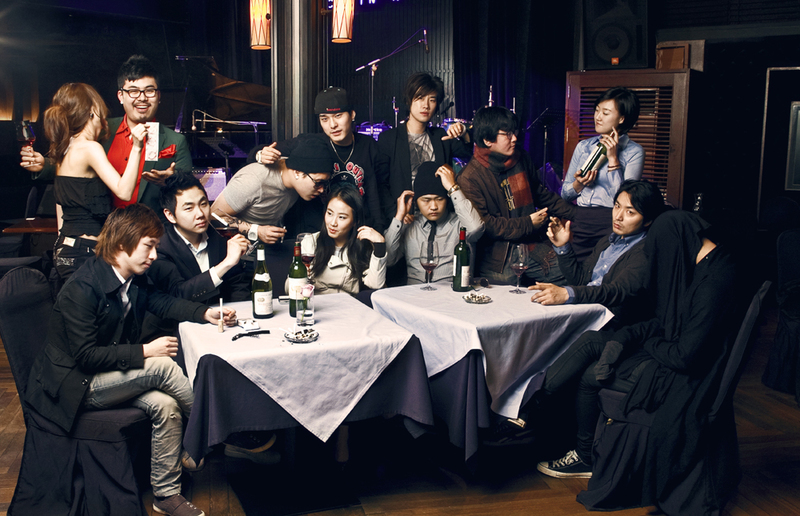 He even made a high profile charity single with rappers such as Verbal Jint, Beenzino, and Swings. San E is also a member of the underground hip hop crew OverClass, a crew that includes Verbal Jint; Swings; Delly Boi; Lobotomy; Warmman; and XEPY. Last year he moved to BrandNew Music to explore his talents and gain more musical freedom. Since moving his hits have continued to please, including most recent chart topper Break Up Dinner featuring PHANTOM’s Sanchez. As well as his own tracks he can also be found on the likes of Park Ji Yoon’s Mr Lee; and Yu Seung Woo’s U WHO? ; for which San wrote both of his sections. Last weekend you might have seen him accompanying former label mate Sunmi in an acoustic version of her track Full Moon on the weekly music show promotional circuit. With his BrandNew success and knack for making popular, and catchy, rap music I don’t think San E will be disappearing for some time. Next Article [PLAYLIST] K-Pop songs for the Spring season!